Never guess about performance again. 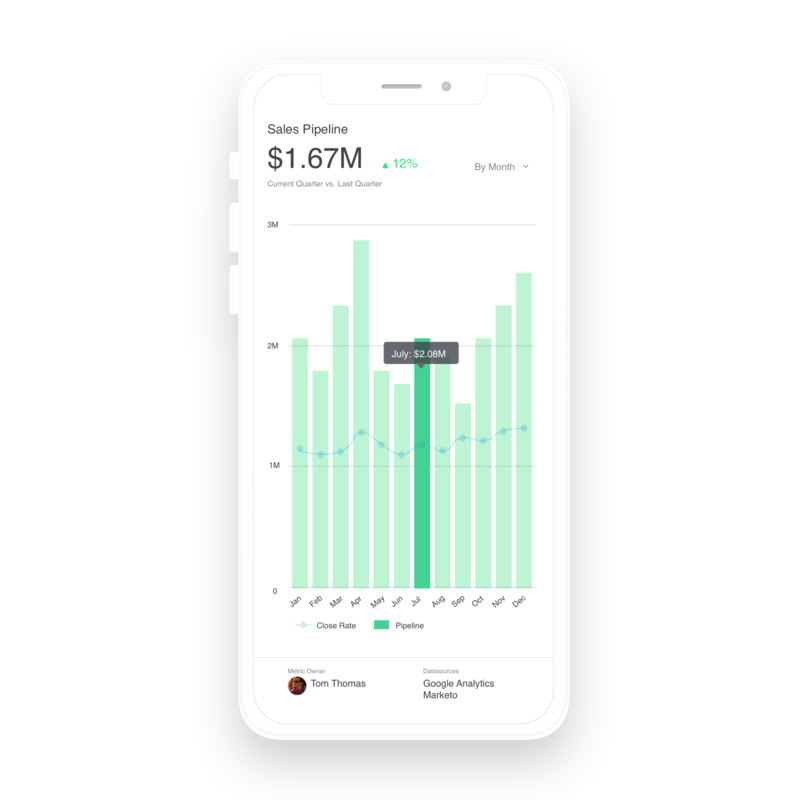 Executive dashboards from Grow's business intelligence tool enable you to monitor company performance up-to-the-minute and keep everyone aligned to goals. Your team relies on you. As a company leader, your team depends on you to guide them to success. You need to be sure of every decision in order to get buy in and inspire everyone to push ahead and meet the next goal. You’re working off stale data. But the report you’re looking at is a few weeks old. How can you be positive that nothing has changed? Or that what you’re seeing wasn’t a fluke? How can you inspire confidence when you’re not certain about what you’re seeing? Grow gives you up-to-the-minute performance. 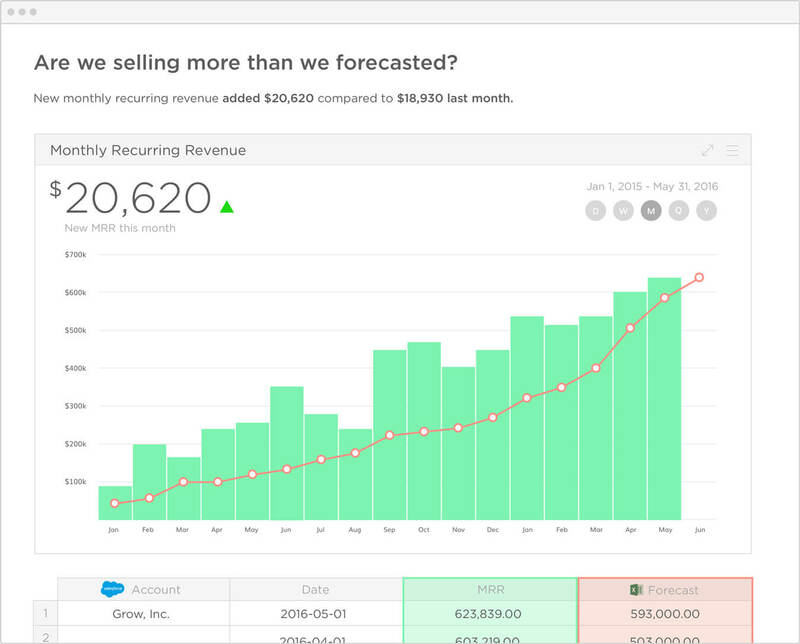 When you build a custom executive dashboard using Grow, your KPIs will stay automatically updated to the minute. Performance, progress towards goals, and ROI will never be in question again—and always at your fingertips. 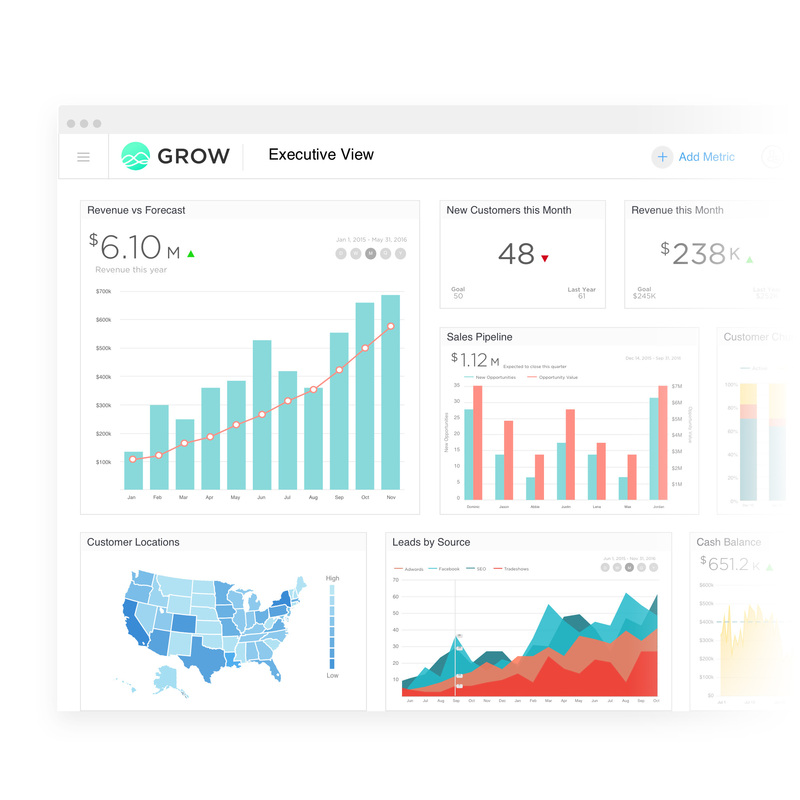 Grow is simple business intelligence (BI) created specifically for growth-focused organizations. Offering all the dashboards, reports, analytics, and unique insights you expect from traditional BI without the cost and technical resources normally required. Grow is on a mission to help growing companies win with data. Grow’s Smart Builder includes features like automatic key values and date recognition, while tools like Datasets and the Data Explorer let data-savy users do all the heavy data prep once to create custom metrics that every team can use.